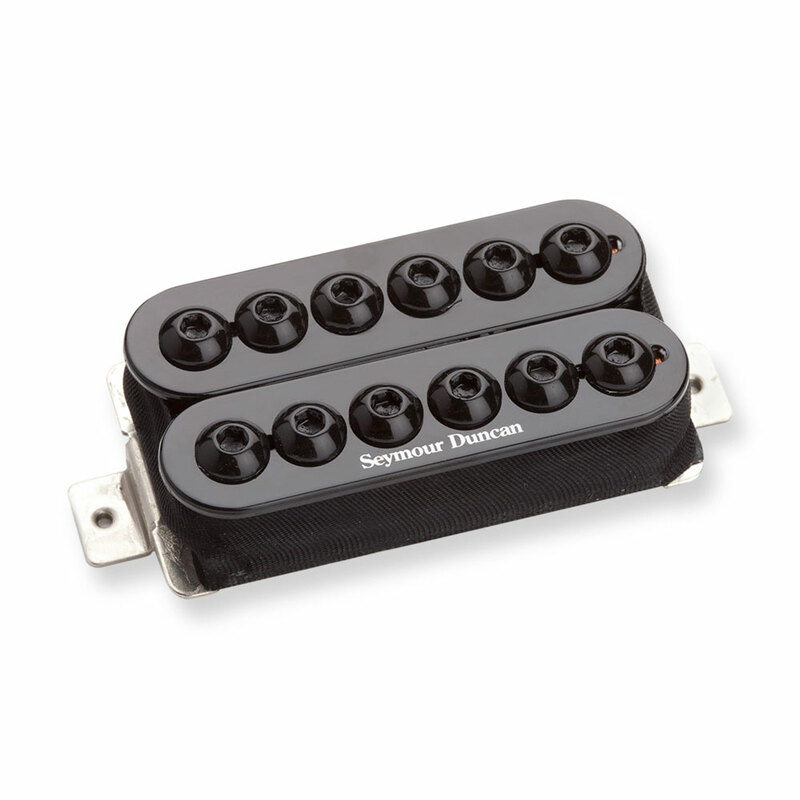 The Seymour Duncan SH-8b Invader Bridge Humbucker is a high output pickup has a unique look with a huge sound like no other, loud, vicious, and unapologetic. The Invader’s power comes from the combination of specially overwound coils, three large ceramic magnets and striking oversized metal oxide pole pieces, these expand the overall magnetic field and widens the frequency spectrum. It delivers the thickest and deepest low end response of any passive Seymour Duncan pickup, chords sound full and balance nicely with the crunchy treble that keeps everything well defined. Match with the Invader neck model for a massive-sounding high-output setup.